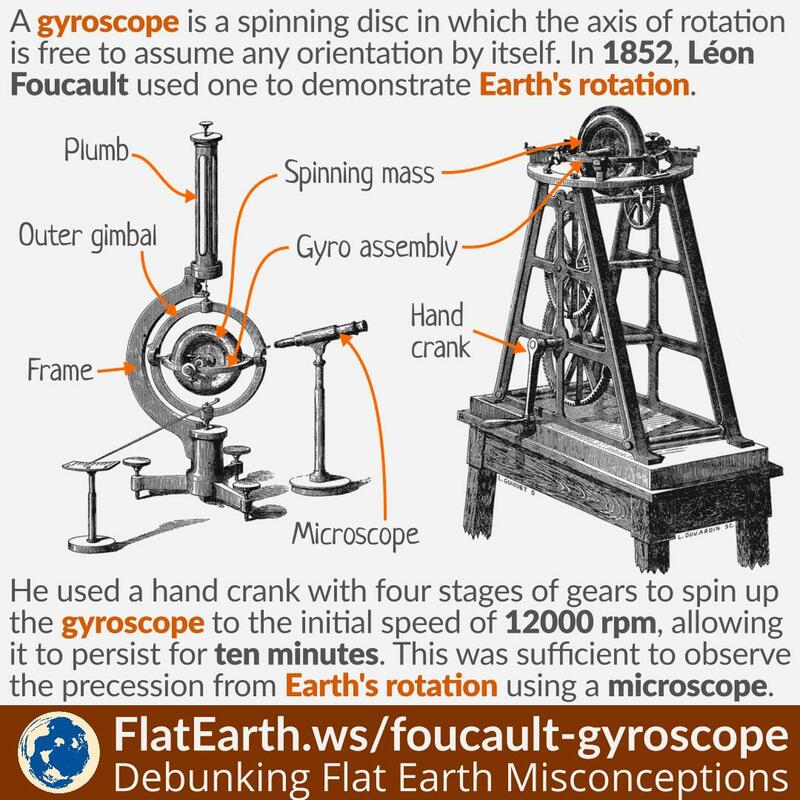 A spinning gyroscope keeps a constant axis of rotation in space, so it should slowly rotate with respect to an observer attached to the rotating Earth. The challenge was technical; it would need to have minimal friction, and it has to be able to spin for a sufficient duration so that the precession due to Earth’s rotation can be observed. 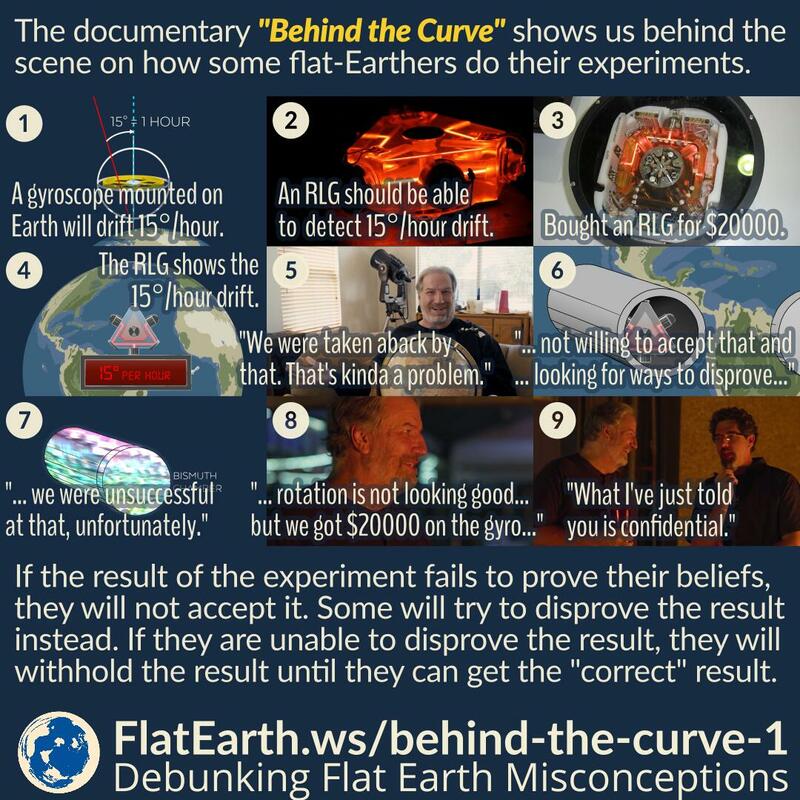 “Behind the Curve” is a documentary showing behind the scenes on what is happening in the flat-Earth community in the United States just before a flat-Earth conference. 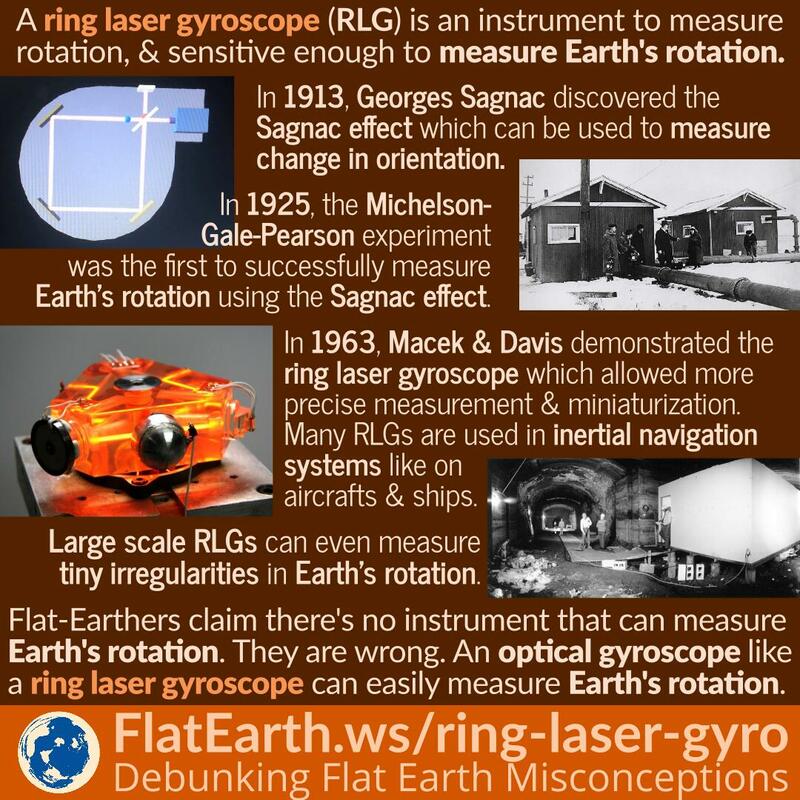 In a section, the film shows us how a flat-Earther did an experiment involving a ring laser gyroscope, which proved the very thing he tried to disprove: Earth’s rotation; and that he was unwilling to accept the result. Many adherents of flat Earth have spent a lot of effort and money to perform various observations and experiments. They would buy expensive equipment, travel to the other side of the world, painstakingly designed the experiments in minute details, and performed large-scale experiments; all to prove the notion that Earth is flat. 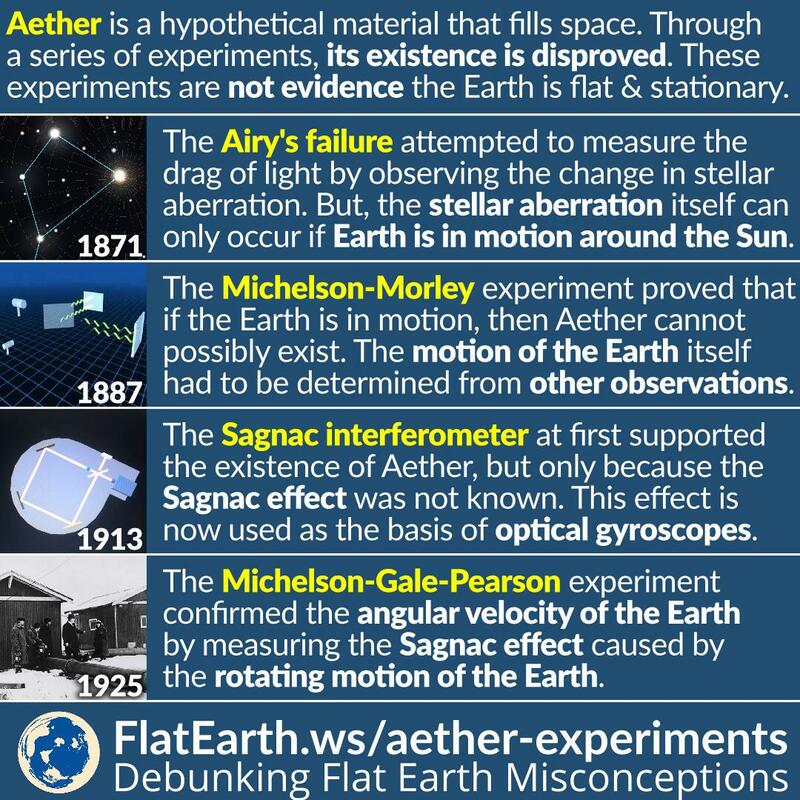 However, many of these experiments and observations have actually confirmed the Earth is a sphere beyond any doubt. In most cases, they would not accept such conclusions, and instead, they misinterpret, refuse to accept, lie, and withhold information. Such behaviors are the results of confirmation bias. However, their results speak louder than their biased conclusions, and these are perfectly valid proofs that Earth is a sphere. 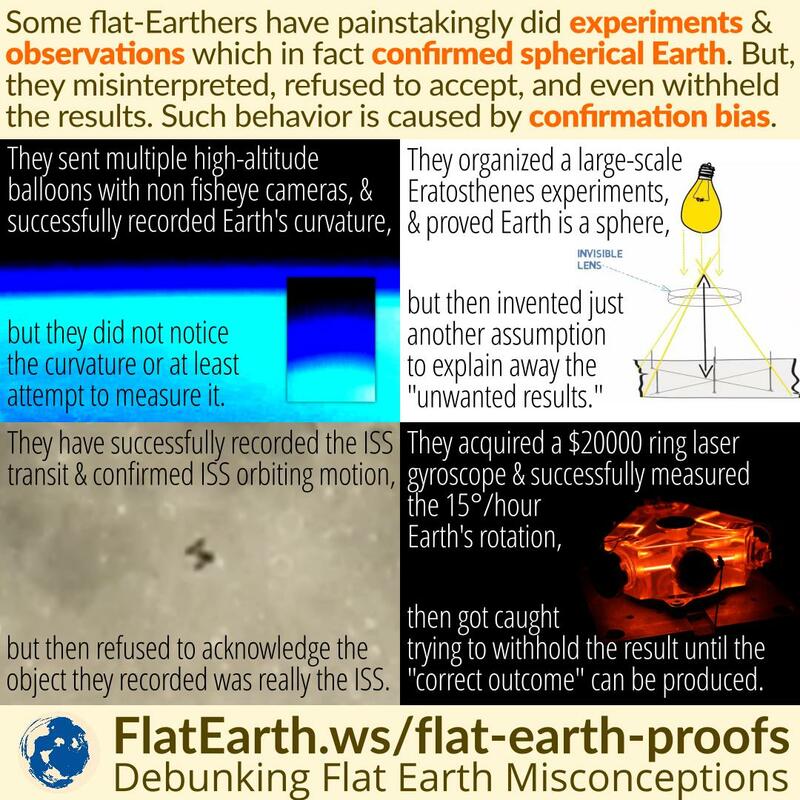 These are some of those observations and experiments, where flat-Earthers have painstakingly and extravagantly performed them, only to come up with the wrong conclusions and spectacularly demonstrating their confirmation biases to the entire world. Aether was the hypothetical material that fills the region of space. 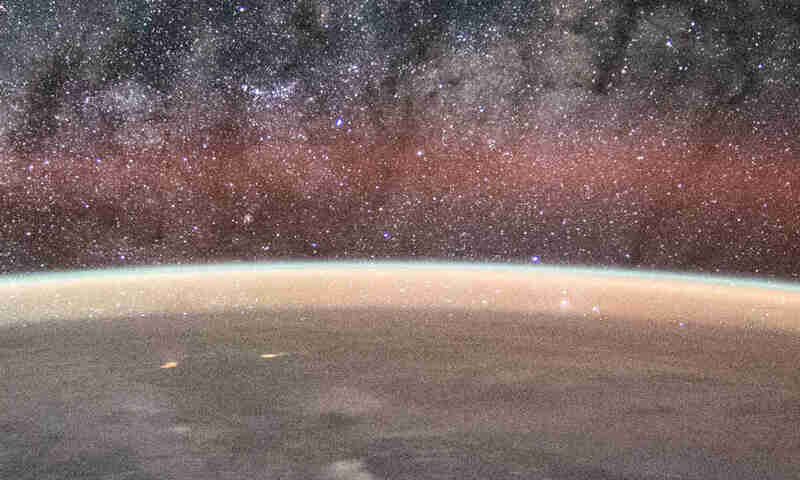 It was assumed to be the medium that allows light and gravity to propagate in space. Throughout the late 1800s and early 1900s, some experiments were carried out to prove if the aether exists. Flat-Earthers (and geocentrists alike) often use the results of these experiments to support their case that the Earth is stationary. But they are wrong. These experiments were conducted to prove if the Aether theory, or if one of its competing hypotheses —like the Special Relativity— better explains reality.